Joanna prides herself on being prepared for every situation. Her plan was to spend a quiet Christmas holiday revisiting childhood memories in the mountain cabin inherited from her grandfather. The plan did not include getting run off the road and lost in a sudden snowstorm. And it certainly didn’t include being rescued by a grouchy bear of a man whose hint of a Scottish accent was almost charming . . . when he deigned to speak at all. All Mac wanted was to get away from well-intentioned invitations to holiday celebrations and nurse the wounds of past regrets in the solitude of his mountain cabin. The last thing he wanted was to get snowed in for the duration with a woman who was so obviously unprepared. A woman whose persistent optimism was as annoying as it was appealing. 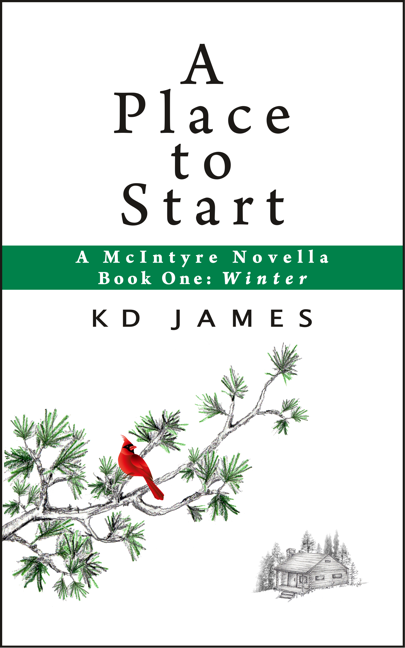 As snow piles up and their attraction grows, can they let go of the past long enough to give the future a chance? This is a contemporary romance novella, 29,000 words. It’s the first of an intended trilogy, but is a complete stand-alone story. No cliffhangers. This book was an experiment, my first foray into do-it-yourself publishing, and I’m rather pleased with it. It’s a compilation of essays [originally blog posts] written over the course of five years. Mostly, they’re funny. A few are a bit more introspective. Slices of life from the “empty nest” years that, it turns out, aren’t so empty after all. And there are pictures! Or a reasonable facsimile thereof.